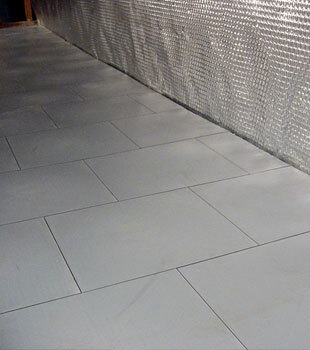 ThermalDry® Sub Floor Matting is tiled sub floor matting system for a concrete slab floor. It's the ideal choice for homeowners who'd like to install custom carpeting in their finished basement. ThermalDry® Flooring creates a surface on your basement floor that's appropriate for the installation of custom carpeting. Your basement floor will be warmer than the cold concrete slab below, while also being protected from humidity rising up from the floor. 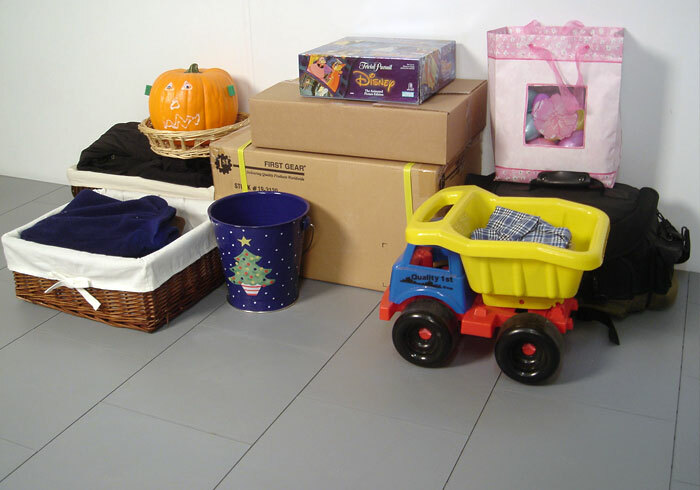 We provide fast, professional installations of our warrantied basement flooring! And with nine different flooring options, we have a customized solution to fit any style preference! 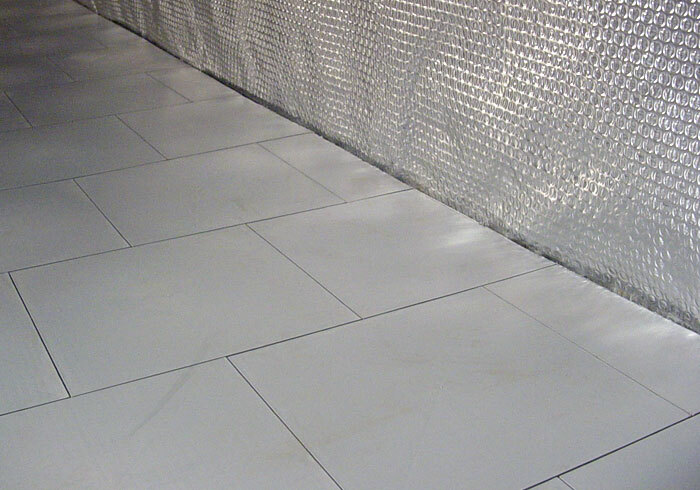 To learn more about how we can help you upgrade your basement floor, contact us by phone or e-mail today! We'll connect you with your local Basement Systems Dealer to schedule a free basement flooring installation quote! At Basement Systems, our dealers provide nine different color and design options for homeowners who'd like to finish their basement floor. We also have six different basement wall products, each customized to upgrade your basement walls or prepare them for finishing. 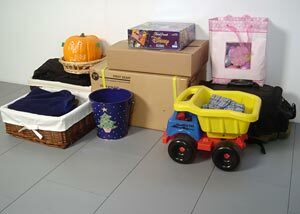 Typical basement sub floor systems are made with wood or chipboard, and take up 3" or more of your valuable head room. At a mere 3/8", ThermalDry® Floor Tiles minimize on the head room you'd lose with traditional flooring. And with its durable design, it should outlast several generations of carpet! 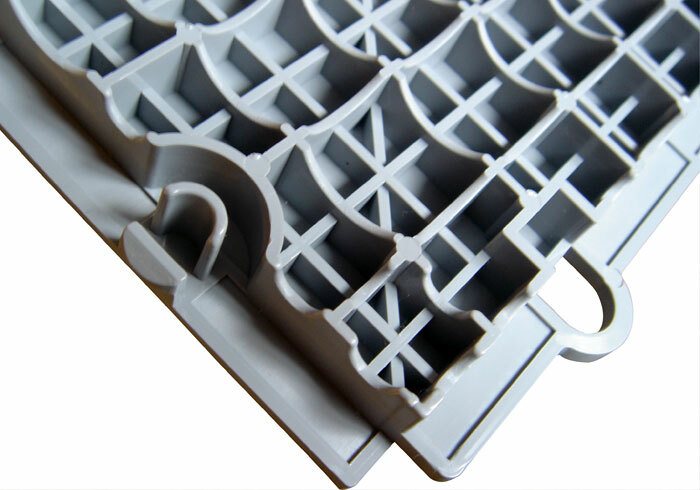 ThermalDry® Floor Tiles rest on raised plastic pegs on your basement floor. This creates a space below each tile to allow for air circulation. 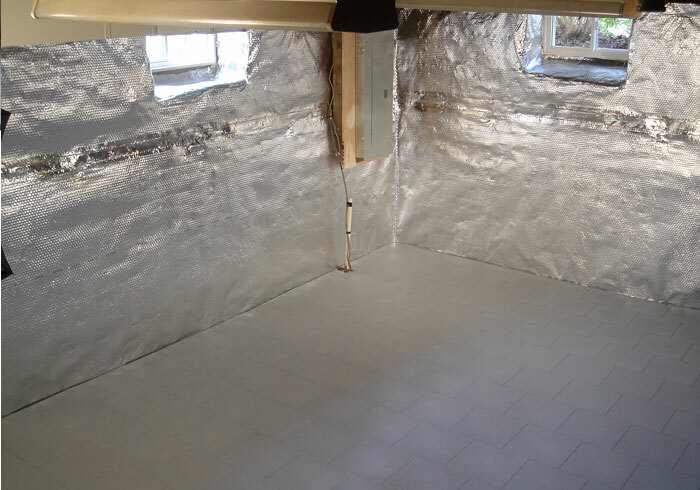 This air space provides a thermal break on your basement floor, making the surface 8-10 °F warmer than the cold concrete below. 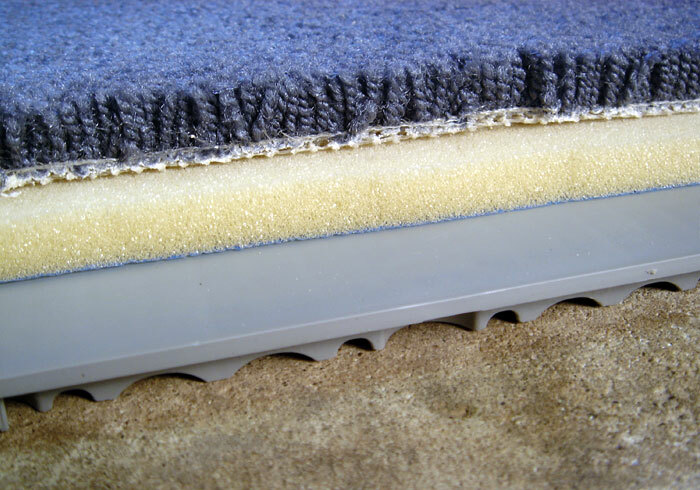 It also ensures that moisture will not be trapped underneath the floor -- or within your custom carpeting. Unlike hardwood or chipboard sub flooring, our ThermalDry® Floor System is designed with all-inorganic materials. This makes them 100% waterproof, while ensuring that they will never support the growth of mold, rot, mildew, or other odor-producing organisms. We Can Help You Install Custom Carpeting On Your Basement Floor! Our award-winning, warrantied ThermalDry® Floor Matting installs quickly in your home! A typical installation takes one, perhaps two days to complete. Our tiles are ready to accept carpeting and tack strips immediately after installation -- there's no grout to cure or adhesives to dry! To learn more about how we can prepare your basement for finishing, contact us by phone or e-mail today! We'll get you in touch with your local authorized Basement Systems Dealer, who will provide you with a free, no-obligation basement floor finishing quote! Our free quotes are available across Canada, the United States, and the United Kingdom, and include a professional consultation, an on-site inspection and measurement, and a complimentary copy of our full-color basement book!